Technology has a massive role to play in the development of diverse industries, and so in the agricultural sector. Over last few months, we have extended our cores to innovations in agriculture. Decades back, who would have even thought that someday we could grow crops in the desert by implementing the biotechnology? But now it is possible. Over few years, Agricultural technology took a leap in its advancements and it’s making the field technically more productive. 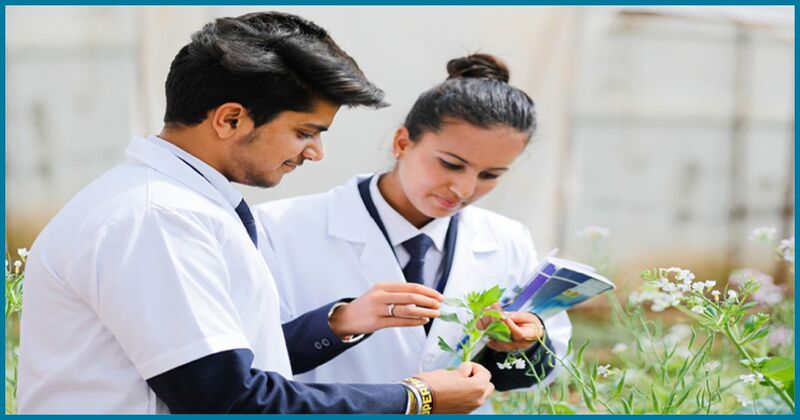 Below we have enlisted few of the existing and upcoming technical innovations in the field of Agricultural Science. Vertical Farming, as the name signifies, is the practice of producing vegetables, fruits or medicines in the vertical layers. Basically, it’s a farm on vertical surfaces. In fact, they can be set up in the structures like- skyscrapers, warehouses, etc. In the vertical fields, normal light could increase, utilizing energy productive lighting. The pros are various, including annual crop production, security from climate, and diminished transport costs. Agricultural robots are also called ‘agbots’. These robots are utilized to mechanize agricultural procedures such as collecting, natural product picking, furrowing, soil upkeep, weeding, planting, water system, and so on. The speculative blend of handfuls or several farming robots with many minute sensors, which together would screen, anticipate, develop and remove crops from the land for all intents and purposes reduction in human labour. Air and soil sensors are the exceptional advancements in the robotized agricultural fields. These sensors would empower an ongoing comprehension of current farm, forests or waterway conditions. Equipment telematics is employed to indicate if the machines employed for harvesting are malfunctioning or about to break down. It gives you a hold on observing the information of a machine and saves you time and money. In fact, through this, you can track the performance of a particular machine. The crop sensor is a device that can observe the amount of fertilization needed for your crop. As a result, the use of crop sensing technology increases the plant fitness and yields you maximum profit out of the production. Optical sensors or automatons can recognize crop wellbeing over the field (for instance, by utilizing infra-red light). Genetically modified food is basically the formation of new strains of food, animals, and plants with a specific end goal to better address the natural and physiological needs. Through the method of genetic engineering, the organisms go through a change in their DNA, that’s how GM food comes into play. Science and Technology have never failed to leave the world in the amusement due to its uses and stronger impacts on our lives. Similarly, the agricultural science has created wonders that took the agricultural sector to the heights. Almost every field is getting successful with the introduction of new techniques. Similarly, we witnessed many innovations in the field of agriculture till now and much more are in the pipeline. With these advancements, the study of agriculture is touching new heights.